CBM International Ltd. is an international sales and logistics company that services all markets of the world, with a specialty in European and CIS countries. CBM specializes in the sourcing and shipping of U.S. made products to our international customers. CBM also offers sales and logistics support for companies who want to develop and grow in overseas markets, but do not want the investment of an in-house international department. Let CBM handle your international transactions from order to delivery to the end destination. With over 50 years of combined experience in international sales and logistics, the principal partners of CBM International hope that we can be of service to you in the world of exporting. CBM International Ltd is your connection to the manufacturer you have always been looking for. 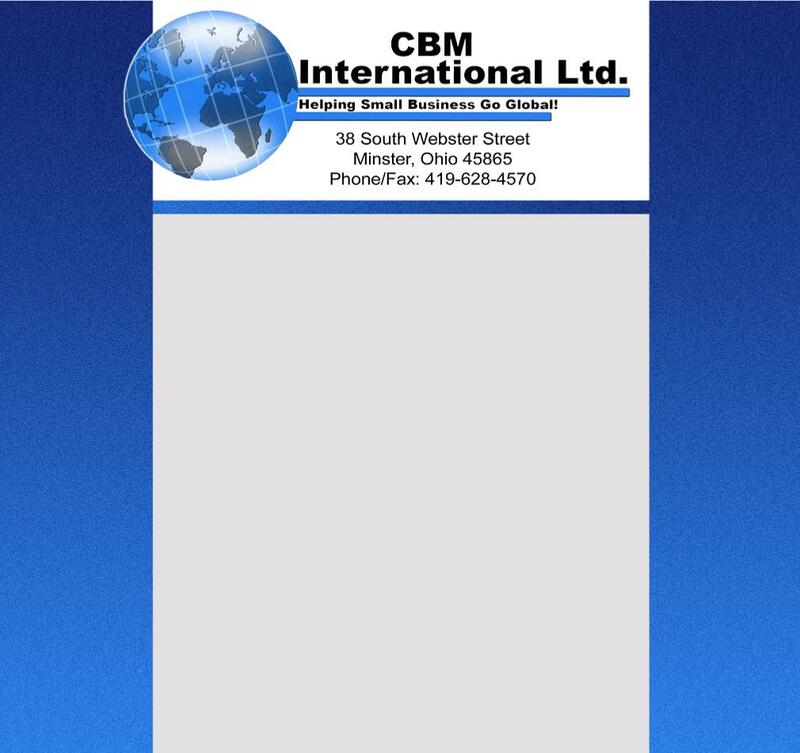 CBM International Ltd, also offers expedite shipping service, with in a 300 mile radius of West Central Ohio. For questions on this service pleasecontact us via e-mail or phone. Copy Right 2015 CBM International Ltd.